Photo of: East Coast of Ireland: Meath: Newgrange. 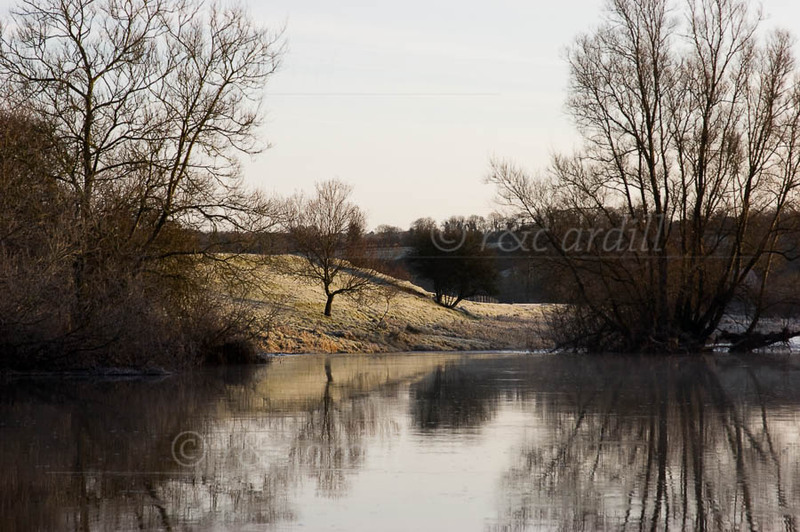 A frosty winter-morning view of the Boyne near the Newgrange megalithic burial mound. The tree to the right is growing on a weir. There are lovely reflections on the river in winter.